There are several decent high grade examples of this die marriage as would expected from an R1. 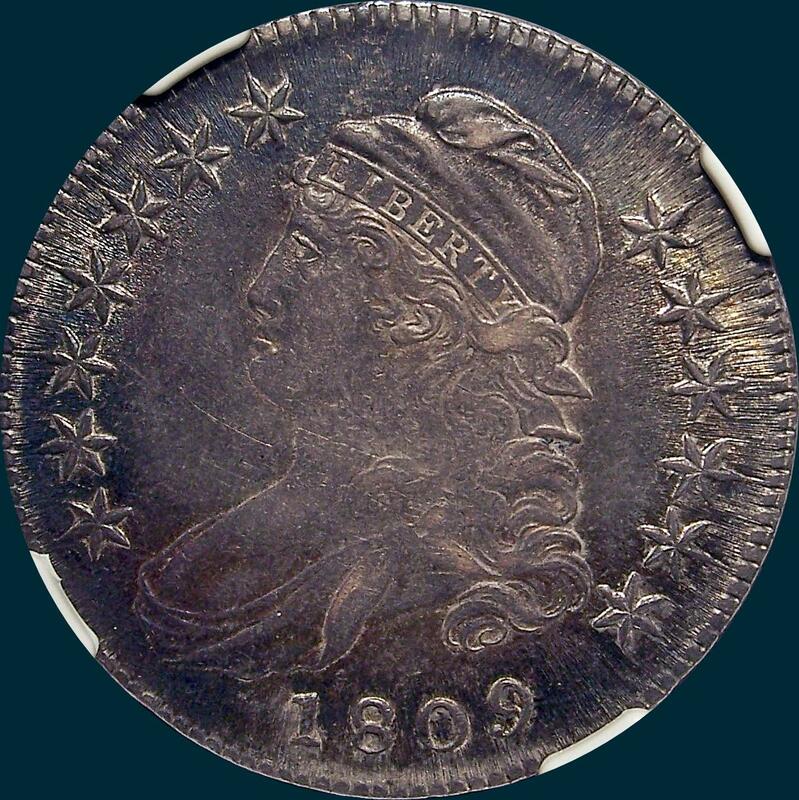 This one may be the most common 1809, topping off at MS65. Look for well struck examples. Deep golden-brown, cobalt-blue, and forest-green envelop this partly lustrous representative. 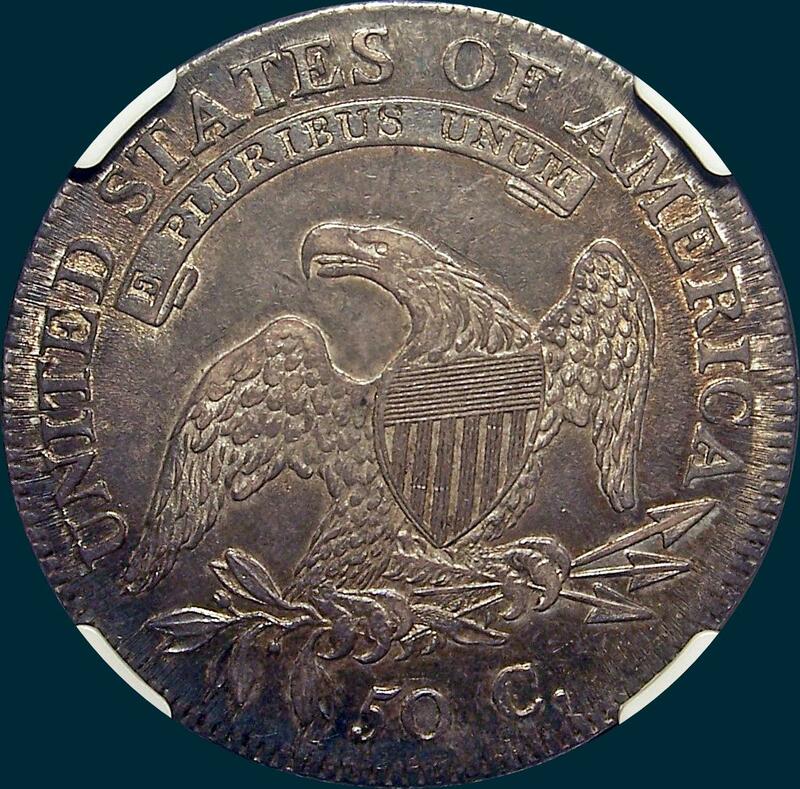 Evaluation beneath a loupe and a strong light locates the occasional moderate mark. Reverse-50 C. is 2 mm. Arrowheads ribbed and separated. Base of M higher than base of A and lower than base of E and all nearly touch. There are two fine straight lines from base of A up through left serif of M. Right sides of D-E and T-I are in line. A long defect line extends about 2 mm. upward into right wing, from corner of shield. Some edge pics, starting with AR at right below, then the FIFTY is below the first prong and FTY in pic two. Cents appears to be mangled, and starts before prong three in pic two, ending in pic three. ORHALF is all run together and ends up under prong four, with A in the middle of pic four with a weak beginning for DOLLAR at right running under prong 1.